There is so much activities that we can have our kids indulge these days. Modern life has made it very convenient for anyone who enjoys the occasional distractions this goes the same for our kids. Why not get them into sports for a change. After all, the old approach to raising your kids is also the best way. I, for one, am a big fan of BJJ as being awesome for kids. Reason #1: Kids need goals. Yes. You heard it. Starting them young and teach them how to set goals for themselves. Trust me, you will thank us in the future. The entire structure of BJJ is centered towards multiple set of goals presented over a period of a student's growth. Setting up our kids to appreciate goals will teach to strive further! Yes. BJJ also known as a gentle art is as safe as it could be. I have yet to see a kid lose an eye. Believe it. It's true. Aside from safety standards set by BJJ schools in the United States, instructors take the best measures in making sure that the environment is safe enough for both instructors and students. Although, let me remind you that not all schools are lead, created the same. In my future articles, I will show you a definitive guide in choosing the best schools for your kids. We all love to compete. Human beings are hardwired to best another. however, in BJJ, there is no such thing as losing. Kids will learn the valuable lesson of winning; that there is always grace in winning. And in losing; where there is no such thing, only learningg. Discipline distinguishes successful people from the mediocre stock. It is discipline that determines a person's value. What does BJJ have to do with it? Quite a lot. BJJ teaches discipline. 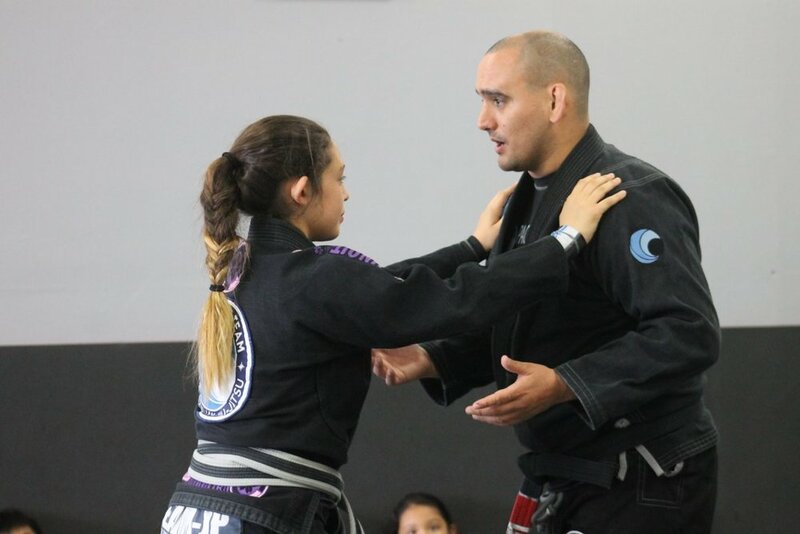 A disciplined instructor, BJJ professor produces disciplined students. Trust me. This will go a long way for every student. Reason #5: BJJ is healthy. here are countless studies that provide concrete evidence that physical activity has numerous health benefit. Why not choose an activity for those young ones that is more fun and interactive. Play actually actually ends between the age of 10 to 12. During this period, a kid will then establish his liking to physical activities. Keeping them physically active is the key to a healthy lifestyle. GET YOUR KIDS TRAINING TODAY!! WE HAVE CLASSES FOR ALL KIDS STARTING AT AGE 3!!! Parents enjoy some well deserved down time while your child gets great exercise, meets new friends, and has a great time. We’ll have plenty of fun with organized games, Friendly movie, and pizza dinner! Do I need to provide anything? All activities and pizza dinner will be provided by us. Happy New Years!! Let's talk about Goals! New Years brings a lot of people to New Years Resolutions. What is a resolution? It’s a firm decision to do or not do something. I think most people think of resolutions as all or nothing. A common New’s Year Resolution is to Lose weight. The problem is, is that the second you don’t make an effort to lose weight, maybe you have a bad day or skip out on the gym once, you make the conclusion that you have failed your resolution and then you quit on it. I don't believe in New Years Resolutions, however I do think the new year is an excellent time to write Goals for the next year. What are your Goals? Do you have yearly, monthly, weekly and daily goals? Does your child? Want your child to learn how to set goals while being active, learning self defense and antbully skills? Then Jiu Jitsu should be on their schedule for 2019 and we have the program for them! We have classes for kids starting at young as 3 years old! Don’t Wait! Call today and schedule their Intro class! JOIN US TOMORROW FRIDAY, AUGUST 17TH FOR A FREE JIU-JITSU WORKSHOP WITH PROFESSOR POLLO CHILUIZA. ALL TEAMS ARE WELCOME, BEGINNERS FRIENDLY CLASS AND OPEN MAT RIGHT AFTER. LOOKING FORWARD TO SEEING YOU ON THE MATS. Thank you everyone who was able to make to it for our Anti-Bully Workshop. This class was very special and truly had a lot of fun with some of our students and new friends! 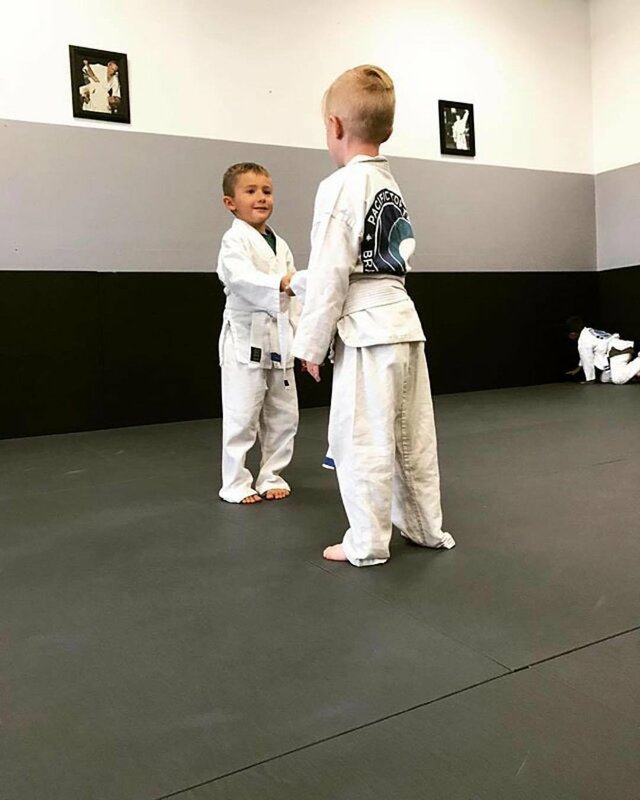 If you're interested in trying out any of our Kids Brazilian Jiu-Jitsu classes, such as Tiny Ninjas, Kids, Teens, or our Black Belt Club Advanced Kids Martial Arts classes, please contact us today at info@pttcorona.com or 951-662-0162. KIDS BRAZILIAN JIU JITSU SPECIALS in Corona! DATES FOR THE SUMMER CAMP ARE OFFICIAL. THIS YEAR WE WILL BE RUNNING 2 WEEKS OF CAMP! Check out this Video on Why you should choose Jiu Jitsu for your child!! Schedule your child for their first class today. We start at 3 years old. This weekend I took my son to the Cub Scout Pinewood Derby. For those of you that don't know, this is an event for the boys to build and decorate a car to race down a track. My 8 year old son won 1st place in his den. Instead of enjoying his moment that he had won, he was crying because not a single on of the other boys in his den said Congratulations or were happy for him. Poor sportsmanship is something that is often seen in kids, but Brazilian Jiu Jitsu requires us to ultimately win or loose on the mat everyday. Having to deal with this daily, helps us learn how to respond to it. Kids are learning how to react appropriately to many things in life. We have to teach them these things. Jiu Jitsu helps teach kids respect, discipline, focus, sportsmanship, good attitude, determination and much more. For kids every class includes a mat chat circle, a time to talk and address many of these character traits we want to build up in kids. It's important for kids to learn that they can't brag when they win or pout when they loose. That it is important to be happy for other people successes and that every time will not be your time, but team mates support each other in the good and bad. and be sure to ask about our 30 day FREE Trial! Drop the kids off and enjoy a night out for yourselves!! !